You can see more about these prints on Oh Joy's site and her process of how she put them together from photography, styling, to print. Click through to her site below. This is quite late but I waited to post this until after the holidays. 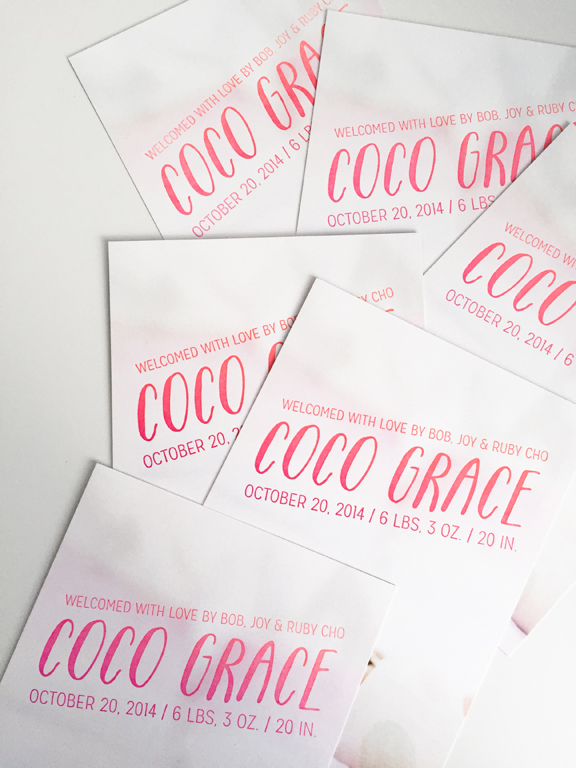 We were tapped to print a striking print for Oh Joy announcing the birth of her second daughter Coco Grace. Joy provided the layout and the idea to print an ombre split fountain of fluorescent red to fluorscent purple over a photograph of little Coco. 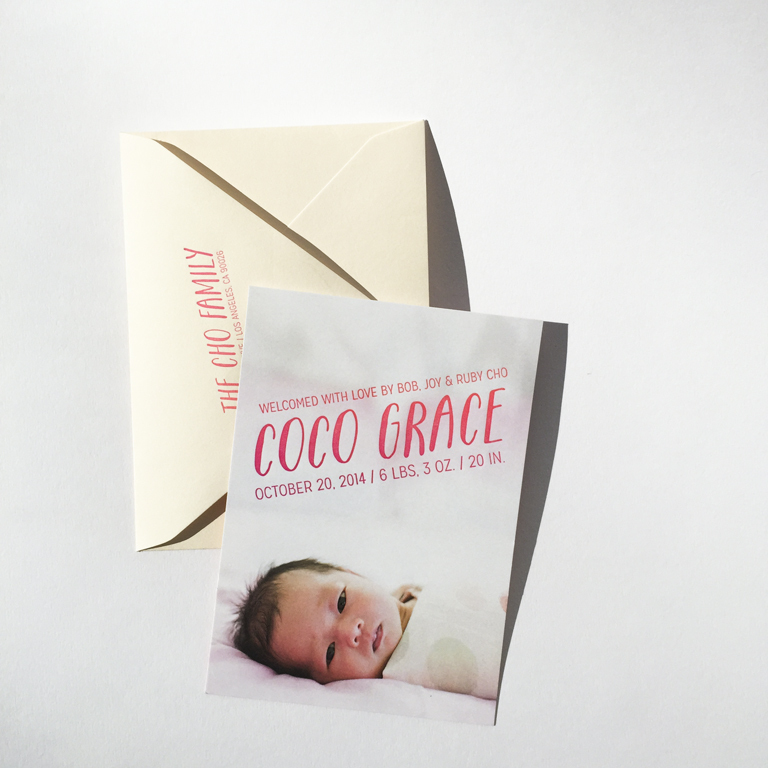 We digitally printed the photos on 130# stock , not too thick to resist those refridgerator magnets, and then ran the prints through the letterpress machine for name and birth details. It was so fun to have Joy and her mini Ruby come by the studio for visits. Ruby with hands-on ink tests definitely approved of the colors for her new baby sister! Take a look at our Challenge press with the split fountain. It was the perfect press for the job with the hand cranked inking system to help retain the color separation. It's been a while since a decent batch of business cards. These cards for Sagency, a New York and Berlin based consulting company, tuend out great. They wanted bright and they got BRIGHT! On screen, the design looked pretty easy but honestly, it took me a while to source the neon purple ink and 4 tries to get the perfect edge paint color. My first pass was too pink and the other test turned out too dark purple. It was harder than I thought! I'm happy post this set of hard-earned cards.